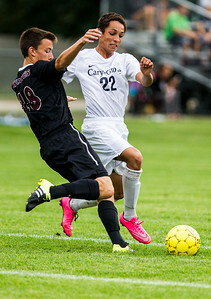 Sarah Nader- snader@shawmedia.com Prairie Ridge's Morgan Kay (left) and Cary-Grove's Patrick Kingdon fight for control of the ball during Tuesday's match at Cary-Grove High School September 8, 2015. The teams tied, 2-2. 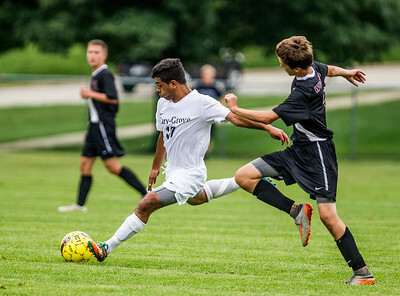 Sarah Nader- snader@shawmedia.com Cary-Grove's Esteban Angeles passes to Patrick Kingdon for a goal during the first half of Tuesday's match against Prairie Ridge at Cary-Grove High School September 8, 2015. The teams tied, 2-2. 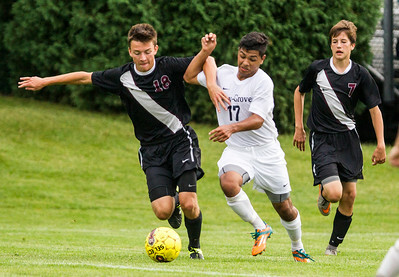 Sarah Nader- snader@shawmedia.com Prairie Ridge's Morgan Kay (left) and Cary-Grove's Esteban Angeles fight for c control of the ball during Tuesday's match at Cary-Grove High School September 8, 2015. The teams tied, 2-2. Sarah Nader- snader@shawmedia.com Cary-Grove's Xavier Nevoraski (left) slides to steal the ball during Tuesday's match against Prairie Ridge at Cary-Grove High School September 8, 2015. The teams tied, 2-2. 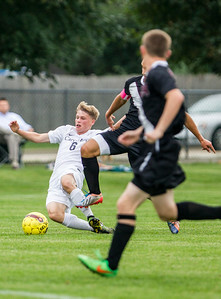 Sarah Nader- snader@shawmedia.com Prairie Ridge's Zac Rietz runs after a loose ball during Tuesday's match against Cary-Grove at Cary-Grove High School September 8, 2015. The teams tied, 2-2. 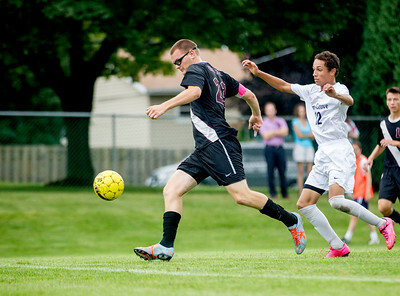 Cary-Grove's Esteban Angeles passes to Patrick Kingdon for a goal during the first half of Tuesday's match against Prairie Ridge at Cary-Grove High School September 8, 2015. The teams tied, 2-2.